This paleo Egg Muffin recipe might seem boring to some but I like it because it’s a way to grab something really quickly in the morning when you’re in a rush or simply don’t want to take the time to make something. Next time I make these I’ll add a little more “spice” to them — maybe even a few red chili flakes. Ooh la la! (laughing) That’s a big deal for me because I don’t normally like spicy foods. The ingredients are simple enough and can be varied according to your taste. For instance, you could add a really spicy sausage or add a jalapeno pepper to give it more oomph. You’ll basically be adding all these ingredients together after prepping them some and then baking it in a muffin tin. So — are you ready to try it? I halved the original recipe to make sure we would like them so that’s the measurements you’ll see below. Feel free to double it. Grease a 12-cup muffin pan with coconut or olive oil. If you’re not making 12 muffins, put a little water in the empty muffin spaces so it doesn’t burn. In a skillet, cook the sausage until its cooked through then cut it up into small pieces. 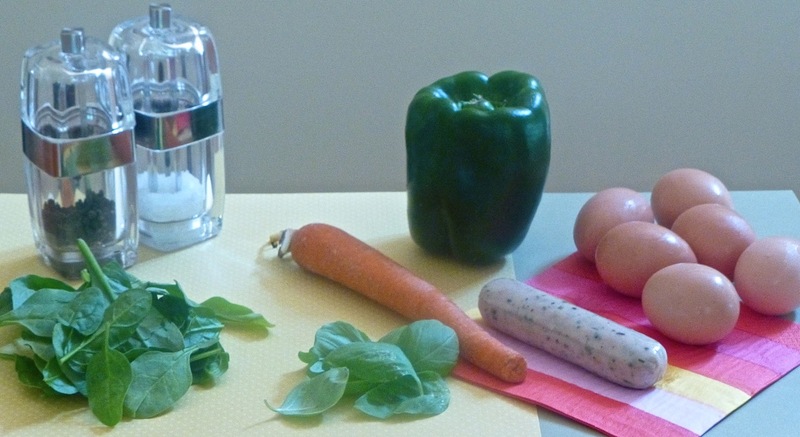 In a medium bowl, combine the cooked sausage, bell pepper, shredded carrots, spinach and basil then set this aside. In a large bowl, whisk together the eggs, salt and pepper. 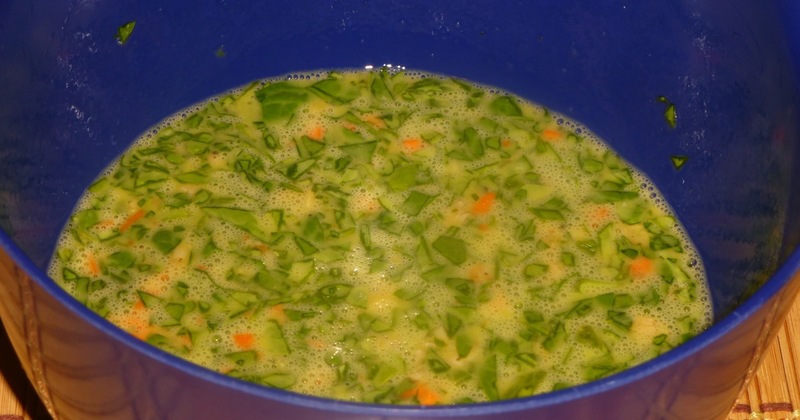 Add the egg mixture to the sausage and veggie mixture then stir to combine it all. Using a measuring cup fill the muffin cups with the egg mixture being sure not to fill it to the rim – about 1/3 cup. 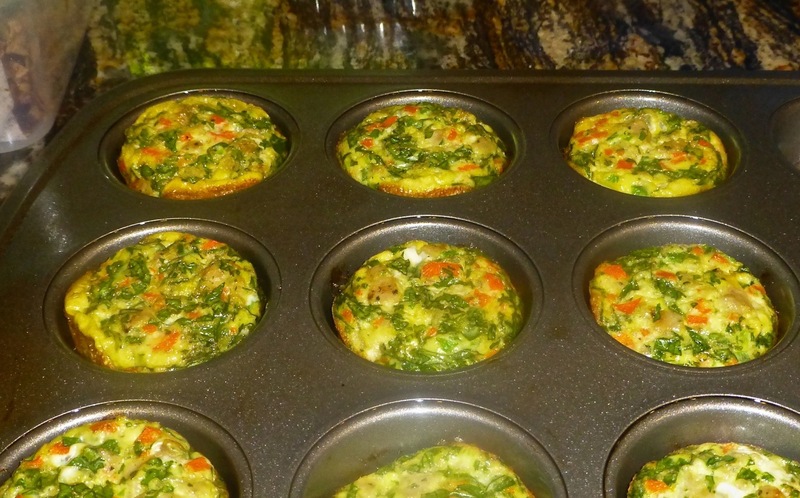 Bake the egg muffins for 20 to 25 minutes or until the eggs are set in the middle. This makes about 9 muffins, can be stored in the refrigerator and reheated the next morning for a quick breakfast. Very nice!